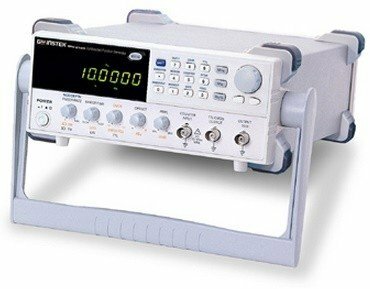 The SFG-2000/2100 Series generates signals by continuously delivering a series of sampling values from a sine waveform table (stored in RAM) to DAC (Digital to Analog Converter) for waveform construction. With a low pass filter circuit to filter out the harmonics of the DAC output and smooth the signal, the SFG-2000/2100 Series is able to provide a stable output with very low waveform distortion. This is very different from the way a conventional FG generates a signal. Since a conventional FG needs to obtain its signal by switching current sources between positive and negative directions all the time, the "Ringing" distortion occurs at the peak of the signal waveform where the switching is activated. This distortion is especially serious when the output amplitude is low. For the SFG-2000/2100 DDS FG, however, the waveform distortion remains low even when the output amplitude is at only 2mVpp.